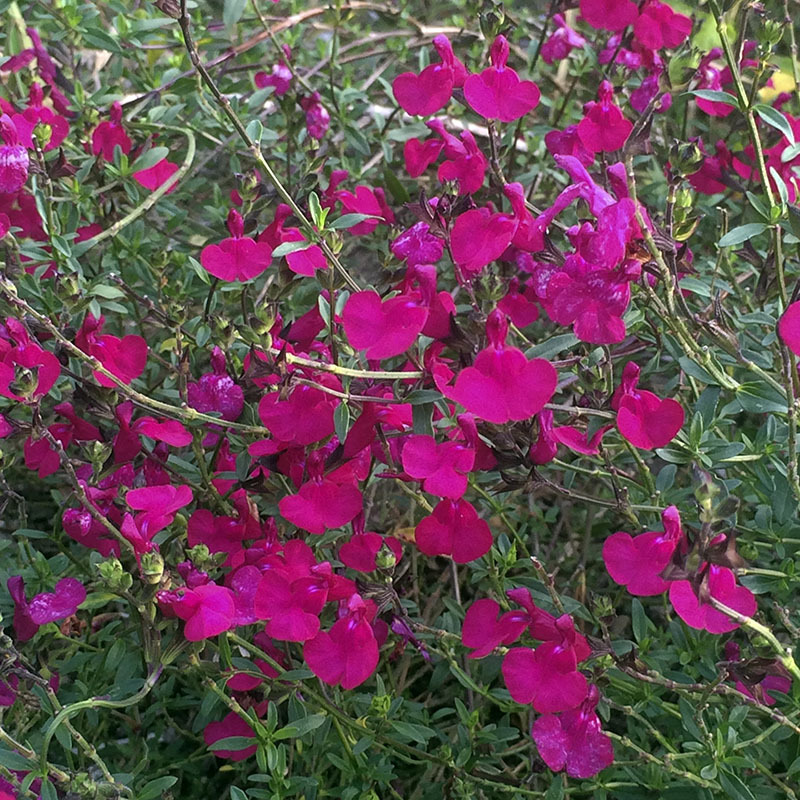 Vibrant red-purple flowers bloom from summer to fall on this compact salvia. Soft green, lightly fragrant leaves and dark stems add to the pretty picture. 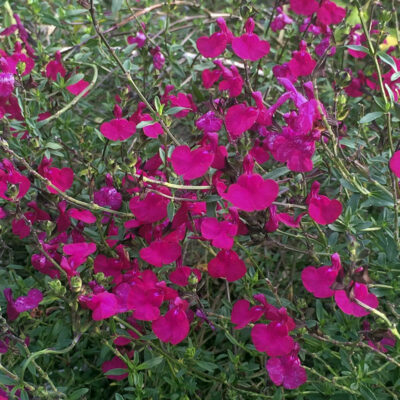 A low-growing salvia that adds color to borders, beds, and containers while attracting hummingbirds and butterflies. Full sun. Height and spread 12-18”. Drought tolerant. Deer resistant. Zones 6-9.